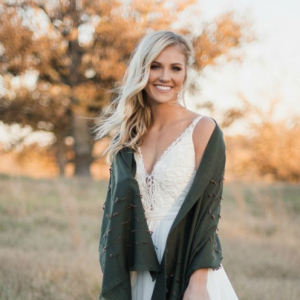 Planning an out-of-town wedding can be daunting, but we have a few tips from Hot Springs wedding planner Randi Slick of Signature Events to ease your fears. 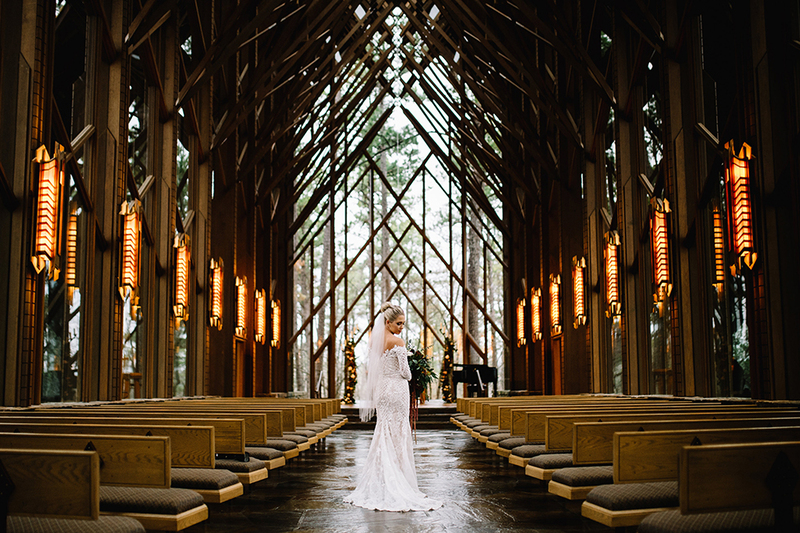 The floor-to-ceiling windows of the Anthony Chapel create a gorgeous ceremony space. 1. 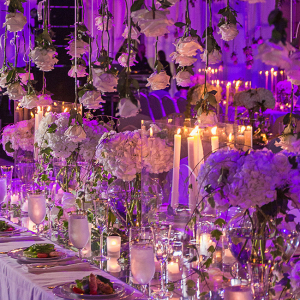 Hire a local wedding planner. “Face-to-face meetings are best, but they’re not always feasible,” Slick says. 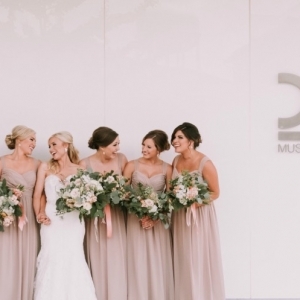 “That’s why it’s important to find a wedding planner you can trust.” The planner will meet with vendors throughout the planning process on your behalf. There are a few things you’ll need to do in-person, so try to plan multiple vendor appointments during the same trip. This will help cut down on the number of times you need to visit before the big day. 3. Hire vendors in person. Don’t feel comfortable letting your planner choose your vendors? That’s OK, Slick says. “Once you do your research [online], make appointments with highly recommended vendors.” It’s important that you get along with each other and that they grasp your vision. 4. Be mindful of guests. Pick accomodations that are located within 10 minutes of the venue — within walking distance is even better. Guests will be on different budgets, so consider hotel affordability. It’s also etiquette to offer transportation, if able. 5. Keep your cell phone handy. Slick recommends frequent check-in calls and picture texts with vendors to keep you in the loop as the pieces come together. Inspiration boards that can be shared electronically are a big help too. 6. Set an early RSVP date. For destination weddings, Slick says out-of-town brides should put an earlier-than-usual RSVP date on the invitation’s reply card. This allows more time to adjust for any last-minute additions or changes. 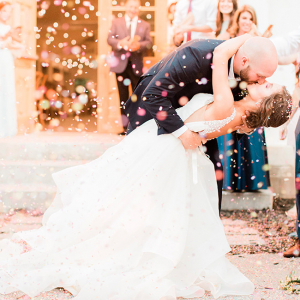 See more in the 2018-19 Hot Springs Wedding Planner.